Hey Hipster, are you getting ready for the party of all parties this Saturday? Have you made plans for the get together at the pub to play two up with your mates? Maybe participate in drinking games involving shots, hopefully out of special ANZAC memorial glasses? And let’s not forget, lest we forget, Aussie, Aussie, Oi, Oi, Oi, all dressed up with a good “they died for us”. Makes ya proud to be Orstralian, don’t it? Groan, I say, having seen it far too many times over the last few years. Politicians, media commentators and sociologists see it as the emerging interest by the young generation of today in Australian history and the sacrifices the ANZAC soldiers made. These blokes went to war for us so we can live in the democracy we enjoy today. Used as cannon fodder by the English of cause, bastards drinking tea whilst our boys were running over the hill to be killed by Jonny Turk. Nationalism at its best, taught in simplistic terms and used for legend making. Also total and absolute rubbish. 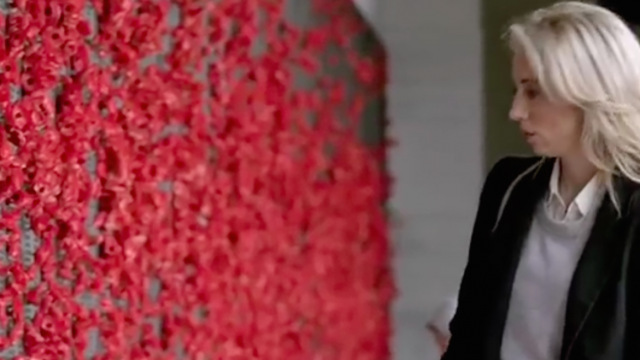 Kate Aubusson is a 27-year-old journalist who grew up with the ANZAC legend via Peter Weirs film Gallipoli and the snippets of information most of us have received without ever questioning it. One day she became a bit more curious about this and investigated where our perception of Gallipoli and the legend that developed from it came from. In her brilliant documentary, “Lest we forget what?”, to be aired on ABC 1 tonight at 9.40 pm, Kate researches the ANZAC legend from every angle possible, talks to historians, the military, travels to Gallipoli, the western front and researches her own family’s history through her great great uncle who was killed in WW1. This documentary is a must see and compelling viewing. Please make sure you catch it as Kate brings us relevant information that delivers bit more reality into the so-called legend that is supposed to have shaped Australia into a nation. If you are still serious thereafter to celebrate the sacrifice our forefathers made and understand the pain they and their families endured, comprehend the savage business war is, then I hope to see you at the dawn service where I will mourn the senseless loss of life on both sides of the trench. That incorporates the lies we have been told.